I woke up feeling ill with a sore throat and low grade fever so I decided to go back to sleep and go in a little late as I am flying to London tonight and back tomorrow and really don’t want to get sick. 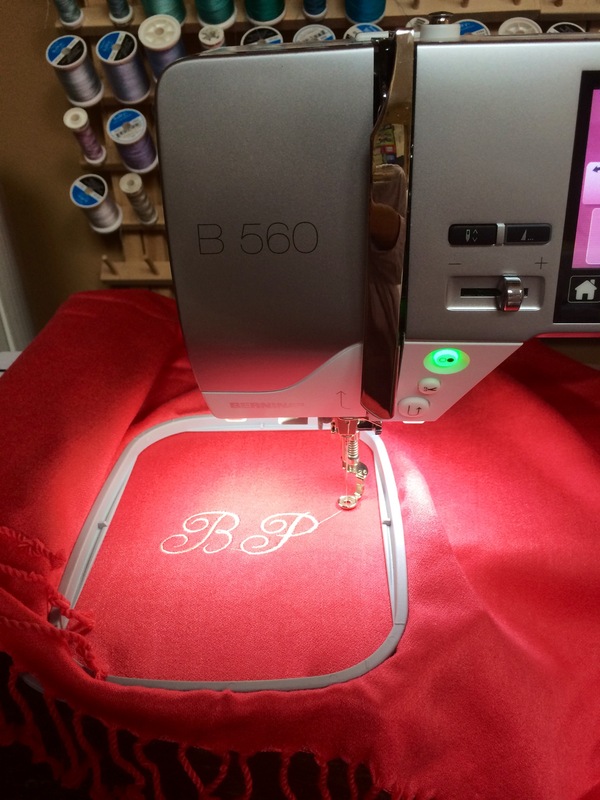 Good thing I did as I remembered that I had to embroider some pashmina. Some as in six! That I needed to deliver to a colleague today. At my day job as Chief Client Officer of a global advertising agency, we focus on trying to create an amazing experience for our clients – and of course for all of their key stakeholders. Six very important clients are coming in tomorrow and we are discussing how we partner with them to meet their business goals. 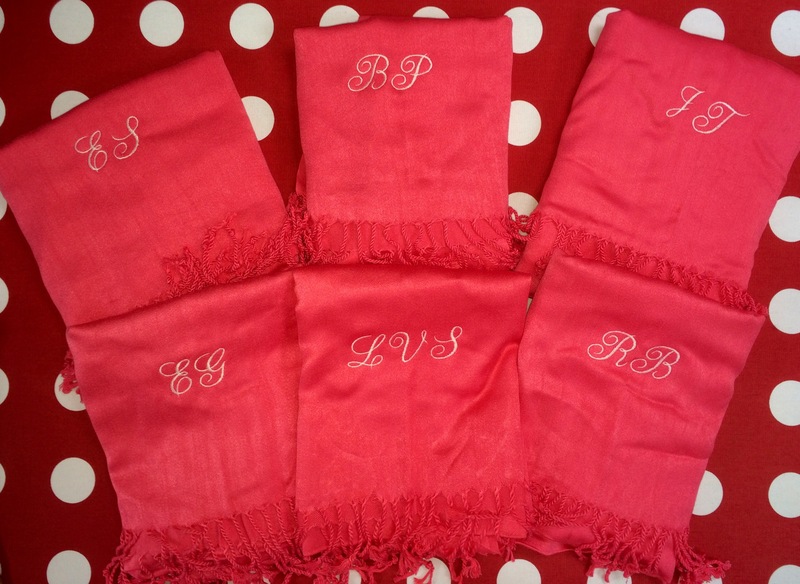 Our theme is, “we’ve got you covered!” So, the team is gifting them these pretty pashmina with their initials to help them remember our commitment. I offered to so the embroidery two weeks ago and have been so busy that I keep moving it to the “tomorrow” column in my to-do list. Tomorrow ended up being today, and fortunately they worked up very quickly. I really love how they came out. Subtle, yet pretty. Personalized, and still very practical. 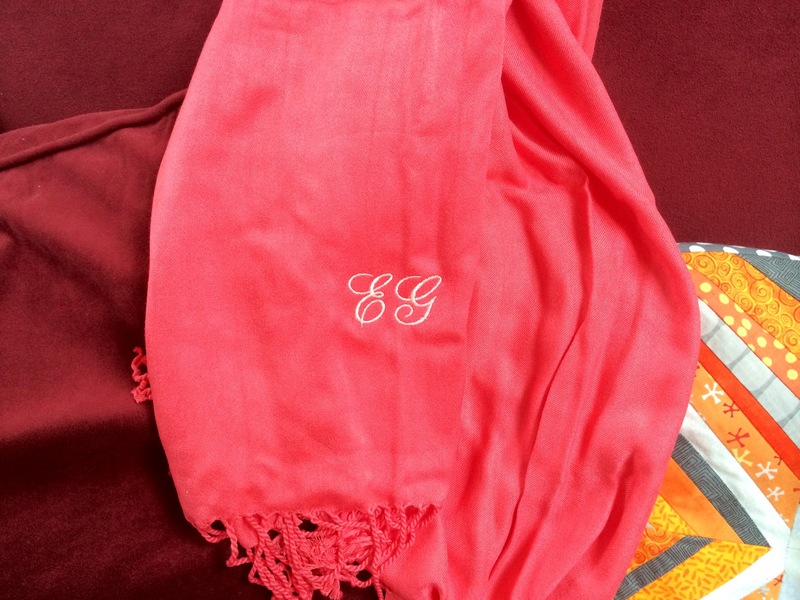 I like them so much that I just went on to saks.com and ordered several different pashminas to personalize for holiday gifts.